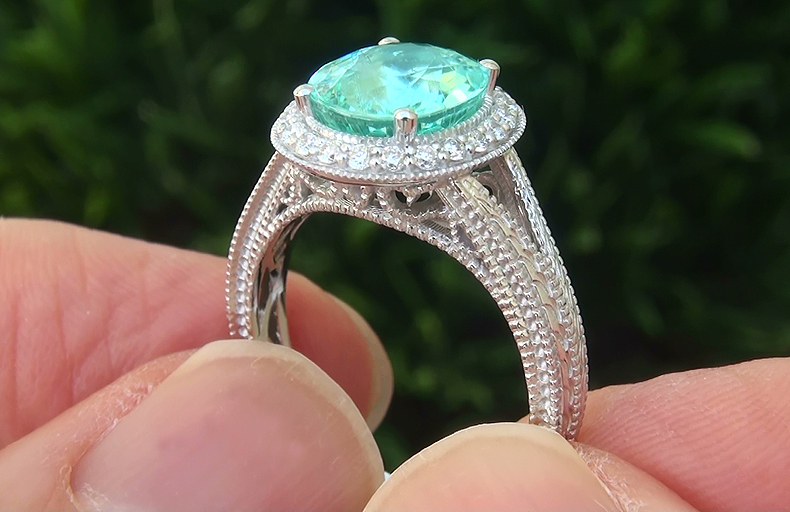 This absolutely stunning GIA Certified 2.94 Carat Natural Paraiba Tourmaline is a once in a lifetime collector’s opportunity. 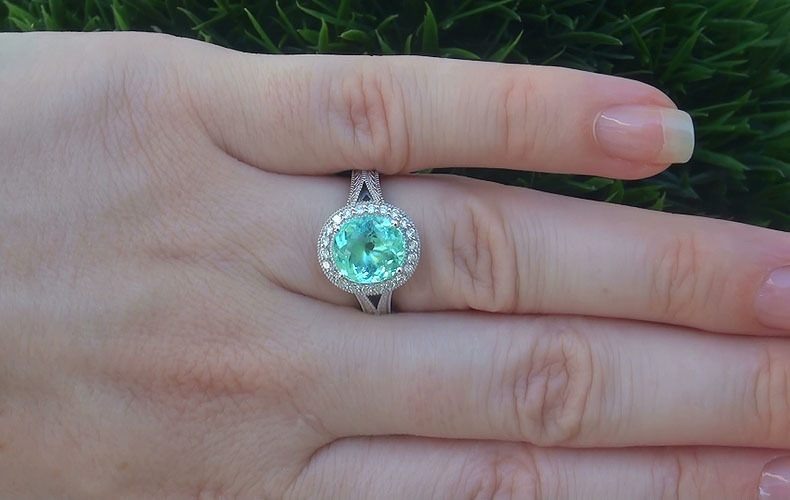 Boasting an impressive 2.70 carat (exact carat weight) Near Flawless VVS clarity specimen, this gorgeous solid 14k white gold estate beauty has everything an investment grade ring could offer featuring a spectacular cluster of 22 round brilliant cut near flawless VS1-VS2 clarity fine quality F-G colorless to near colorless diamonds. 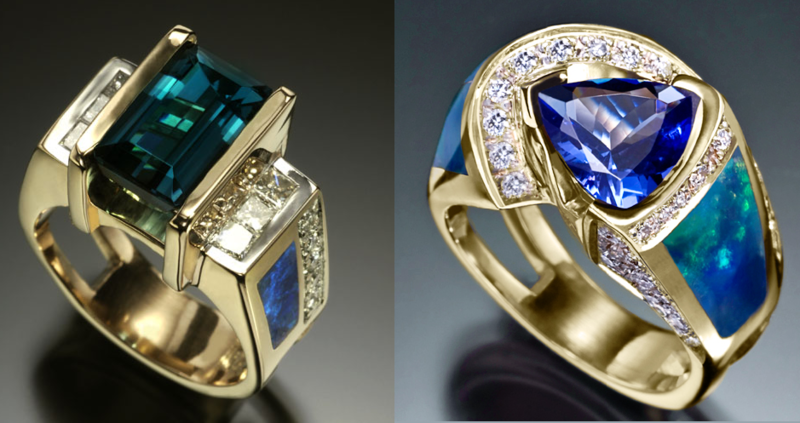 The one of a kind “uncompromising” collectors ring has it all including a classic design. 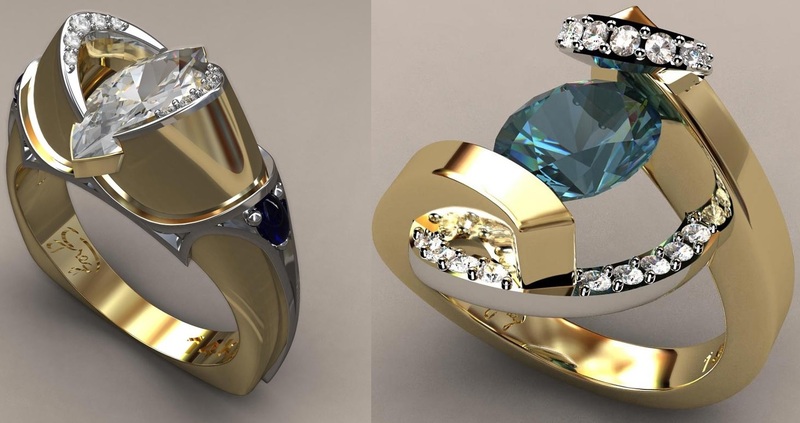 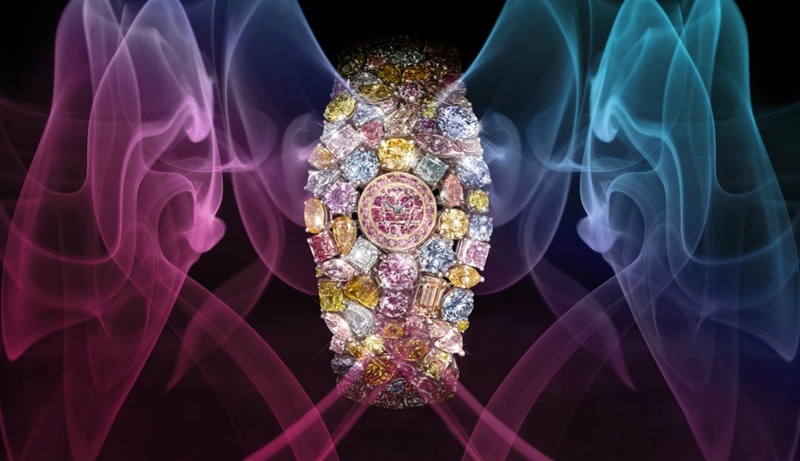 Would be the shining star of any fine jewelry collection. 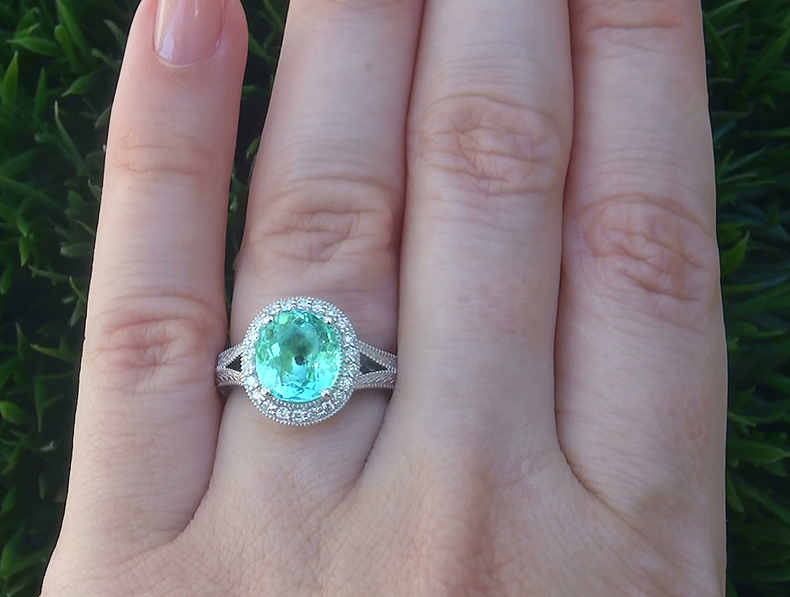 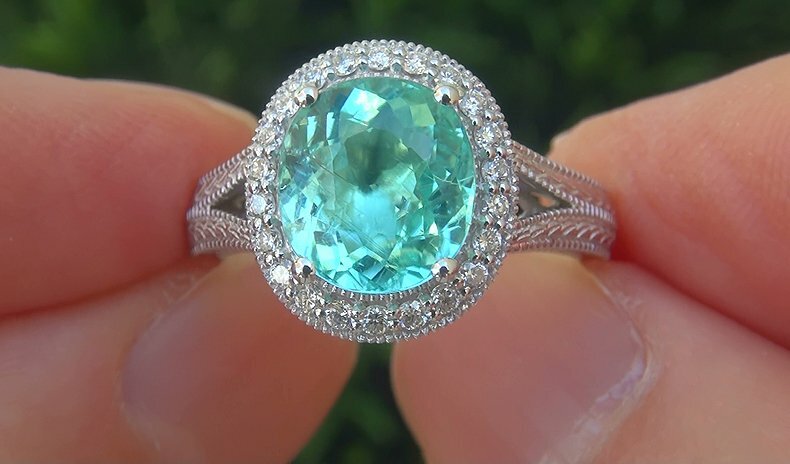 GIA CERTIFIED 2.94 carat estate engagement – anniversary – cocktail ring featuring a BEYOND RARE Near Flawless VVS Clarity Natural “Copper & Manganese Bearing” Paraiba Tourmaline set into SOLID 14k White Gold and accented with Near Flawless sparkling diamonds. 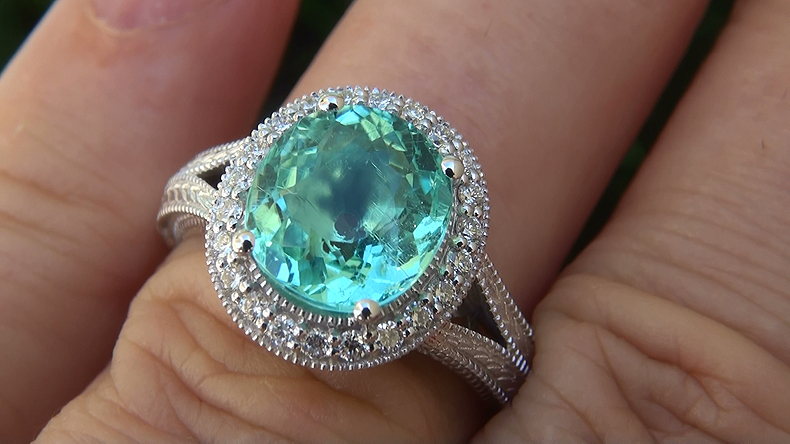 The “Absolutely Stunning” Paraiba Tourmaline measures 9.16 mm x 8.41 mm with the highly sought after EXOTIC Green-Blue Color and an Oval Brilliant Cut weighing a JUMBO 2.70 carats (exact carat weight). 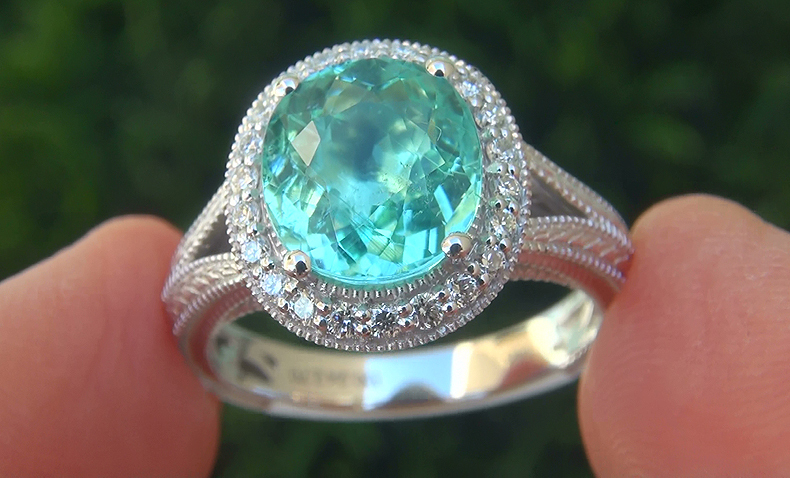 There are also 22 round brilliant natural untreated accent diamonds totaling an additional 0.24 carats set with the Paraiba Tourmaline in a classic style. 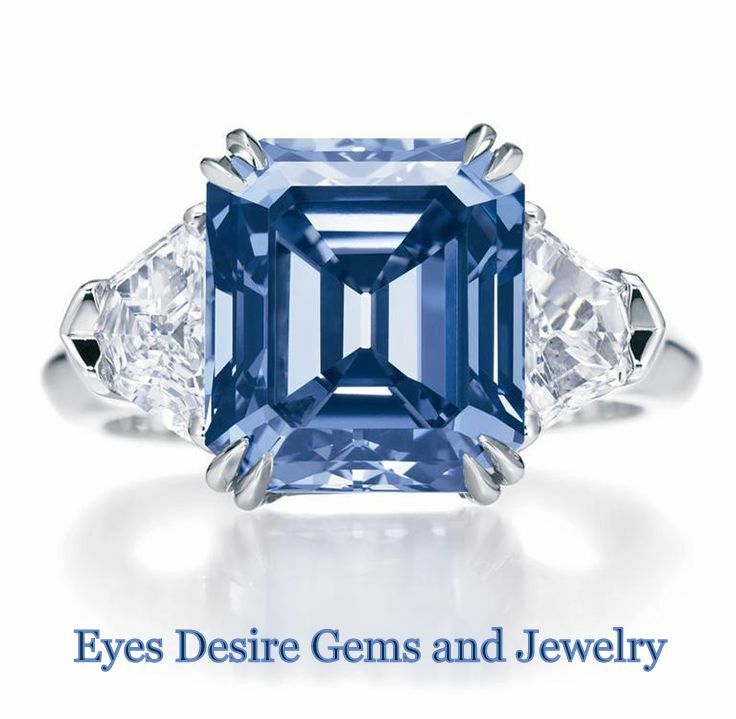 These “Perfectly Clear” diamonds are graded at Near Flawless “VS1-VS2” Clarity with COLORLESS & NEAR COLORLESS “F-G” Color so you can be assured of the OUTSTANDING quality, excellent brilliance, flash, sparkle & fire. 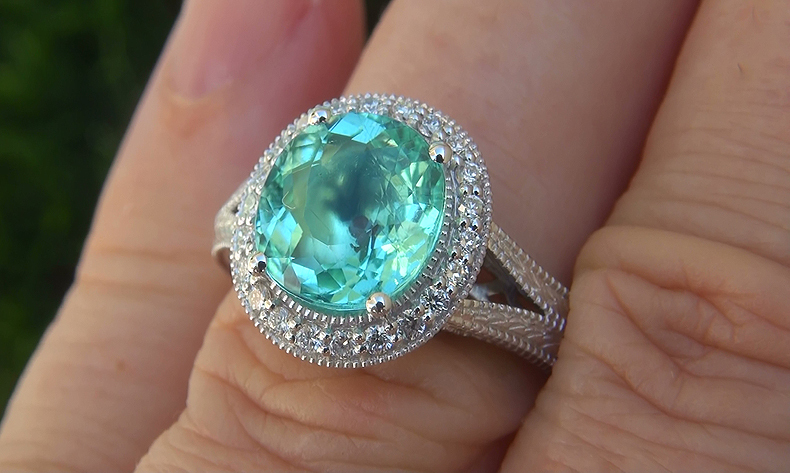 The ring measures 13.20 mm x 12.10 mm at the head and sits up 7.95 mm off the finger. 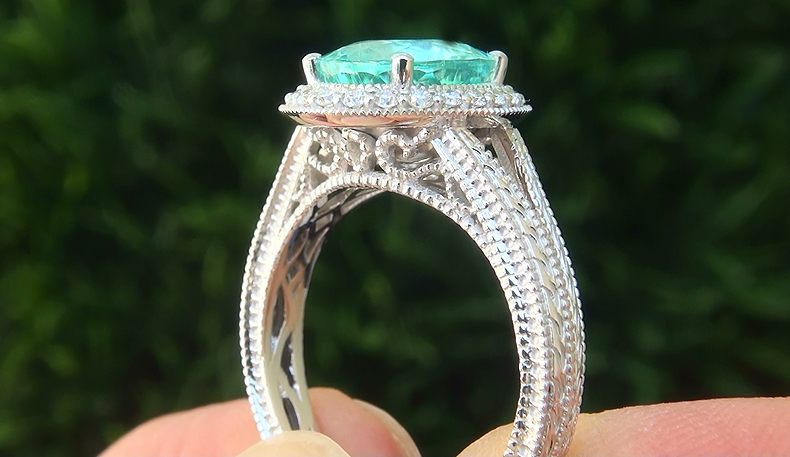 The total ring weighs a HEAVY strong & sturdy 5.79 grams and is constructed of solid 14k White Gold with exceptional PRIME QUALITY natural gems.